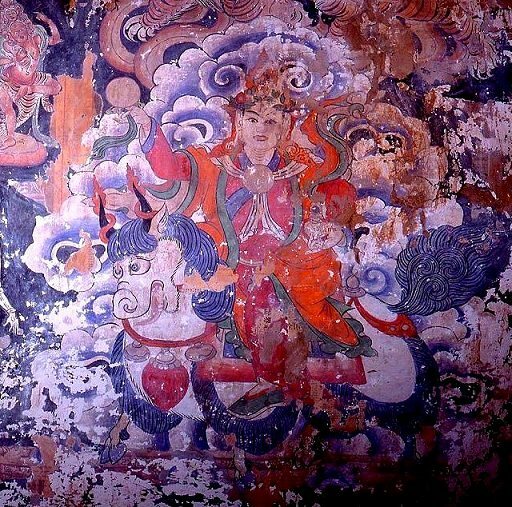 The goddess riding on a yak, and has a jar what filled with the liquor of life in the left hand. It has been inherited in a temple of the Bon Sect what has a long history. There was like this goddess in the ancient Shanshun.